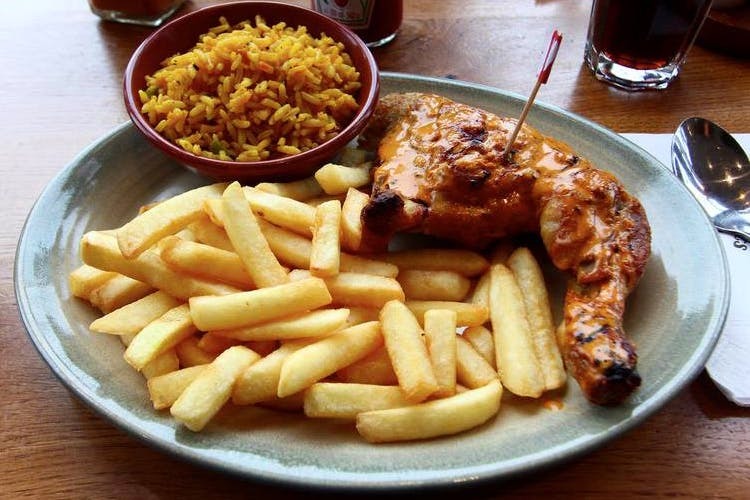 Say hello to Peri Peri chicken again, courtesy Nando’s, which is opening up on 12th Main in Indiranagar soon! While the Church Street branch shut down few years ago, The Afro-Portuguese chain restraint shifted base to Ascendas Park Square Mall in Whitefield. But we all know that is way to far for most of the city to get their dose of Nando’s, yea? So, mercifully, all our pleas have been heard, and they’re coming back to town — 12th Main, Indirangar. That’s opposite the LBB office, just FYI! Set to launch on December 23, Nando’s will bring its famed flame-grilled chicken served in spicy Peri Peri sauce to this part of town. And what can you expect? Their signature flame-grilled chicken slathered with spicy sauces that range from mild to very, very hot. And other specials such as Chicken Liver and Portuguese Roll, pita and hummus, chicken wings, gourmet burgers, and more. Watch this space for more.